My 13-year-old daughter was quite disappointed in the ending because Margo didn't resolve any of the issues with her parents. She decides to go off with Oliver without even considering how her parents would feel about her sudden disappearance. I love the premise of this book! A genie is definitely unique. It's going to be interesting to see how she uses her wishes! 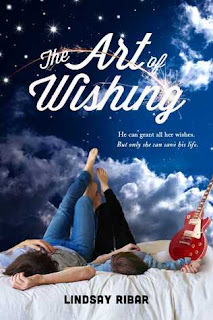 The Art of Wishing by Lindsay Ribar is different from anything I have previously read. I love that it has a female protagonist with agency, not just some damsel in distress who gets dragged along for the story. The characters are all well-realized and believable, even the secondary characters who don't really drive the plot. It's a pretty quick read, but it's definitely not boring.